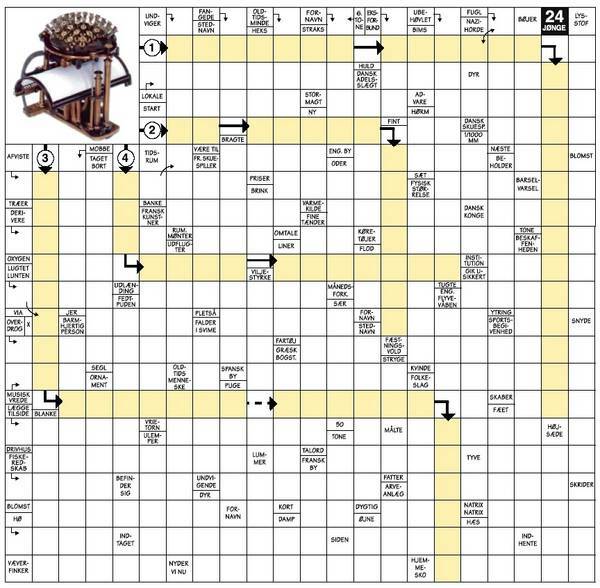 The crossword puzzle below, where some of the key words are about Rasmus Malling-Hansen and the Writing Ball, is made by Jørgen Jensen, and has been printed in the Danish newspaper, Jyllandsposten. We are happy to publish it on our Malling-Hansen website with the kind permission of the author! Unfortunately it is only suited for Danish speaking people! Click the picture to see the solution!